EGaming, the Humble Audiobook Bundle: Voices from the Worlds of Warhammer is LIVE! The Humble Audiobook Bundle: Voices from the Worlds of Warhammer just launched on Wednesday, November 7 at 11 a.m. Pacific time! Welcome back to the Worlds of Warhammer! What’s that sound? 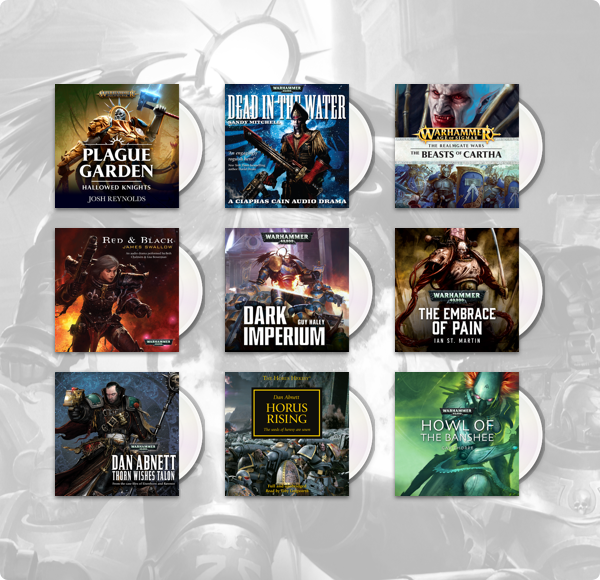 It must be Black Library & Games Workshop’s awesome collection of audio dramas from Warhammer 40,000, The Horus Heresy, and more. Do you hear the voices, too? Get over $100 in games for just $12.